Kem Arrow cards are quite popular in Turkey, American and some Northwest European countries. Made entirely of cellulose acetate material, KEM card comes into regular index and jumbo index (narrow standard index, wide standard index, wide super jumbo index). For the material of KEM is different from other cards, so KEM marked cards are difficult to make for other suppliers. Red cards: marked with big font in the middle. All kinds of mark are available. We also accept customized mark. 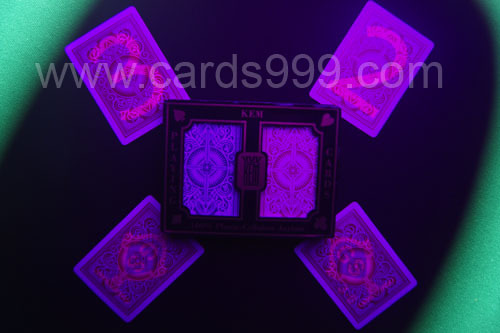 Kem marked playing cards can be offered by customers or us. 100 Kem cards can be processed per day. If you want to know more detail information, you can contact us.